Kate Walsh is an American Actress, businesswoman, and social activist. This biography profiles her childhood, family, personal life, career, achievements, etc. Kate Walsh is an American Actress, businesswoman, and social activist. She is known for her roles in television and films, and also for her entrepreneurship. She established her beauty and lifestyle company that is running successfully since 2010. Best known for her role as America’s favourite TV female doctor, Dr Addison Montgomery, in the TV series ‘Grey’s Anatomy’, and the spinoff series ‘Private Practice’, she has had a long and rich acting career across theatre to television to motion pictures. She started off with ramp modelling in Japan and then moved over to her first love - acting - after coming back to the United States. 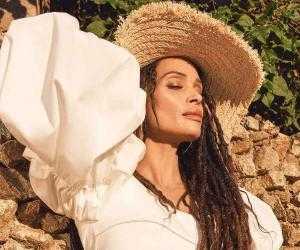 She is a leading social activist and community figure, having been elected to the board of the Screen Actors’ Guild and campaigning for various social causes ranging from planned parenthood to pet adoption, to protection of sea turtles. She has also campaigned for US Presidential candidates Barack Obama and Hillary Clintion. As a veteran actress with a diverse and rich career spanning almost three decades, she has been awarded and acclaimed for her performances in theatre and motion pictures as well as on television. She was born in San Jose, California, USA. Her father, Joseph P. Walsh, is Irish and originally from Navan, County Meath, Ireland. Her mother, Angela (nee’ Bochetto), is of Italian descent. She has four older siblings, two sisters and two brothers. Her older brothers, Sean and Joe, are film-makers. Her home had a Catholic Christian environment and she was raised in Tucson, Arizona, USA. She attended Catalina Magnet High School for three years. She then went to the Rincon High School and graduated from there. She went on to study acting from the University of Arizona at Tucson. She began her career as a runway model in Japan where she was teaching English. Later she came back to the US and joined the Piven Theatre Workshop in Chicago where she began her formal acting career. She left Chicago and moved to New York to join the comedy troupe, ‘Burn Manhattan’ and also supported herself by working as a part-time waitress. She also performed on National Public Radio in the production of the radio play ‘Born Guilty’. She played the character ‘Cathy Buxton’ in the episode titled ‘Stakeout’ of the American police procedural drama series ‘Homicide: Life on the street’. In the episode ‘Navy Blues’ of the police & legal procedural drama ‘Law & Order’, she played the character of Navy Lieutenant Kirstin Blair. Her first major television appearance was in 1997 on the ‘Drew Carey Show’ where she played the character Nicki Fifer, who was the love interest of Drew Carey. For this role she wore a fatsuit in some of the episodes as Nicki Fifer was portrayed as a woman who had lost weight after being obese but had started gaining it again. She also played the character of Paula ‘Paulie’ Goddard in the legal drama television series ‘Swift Justice’ in a single episode. She played the character Heidi in the comedy drama television series ‘Cupid’ in a single episode. She played the character Terry in the police drama series ‘Turks’. In the short-lived sitcom, ‘The Mike O’Malley Show’, she played the character Marcia. She played the character Stace in the sitcom ‘Cursed’. She played the character Jenny in the sitcom ‘The Norm Show’ for five episodes. She played the character of Agent Eve Hiliard in the drama series ‘The Fugitive’ for three episodes. She played the character Carol Nelson in the HBO drama series ‘The Mind of the Married Man’ for four episodes in its first season. She played the character Marley Novak in the crime drama television series ‘Karen Sisco’ for two episodes. She played the character Florence in the series ‘Joint Custody’. For three episodes, she played the character Karen in the series ‘The Men’s Room’. In the procedural forensics crime drama series ‘CSI: Crime Scene Investigation’, she played the character Mimosa for one episode. She played the character Maggie in one episode of the sitcom ‘Complete Savages’. She played the character London in the television film ‘Bobby Cannon’. She played the character ‘Kendall Judd’ in the ABC drama series ‘Eyes’. During 2005-2012, she played her most well-known character of Dr. Addison Montgomery in the medical drama series ‘Grey’s Anatomy’. 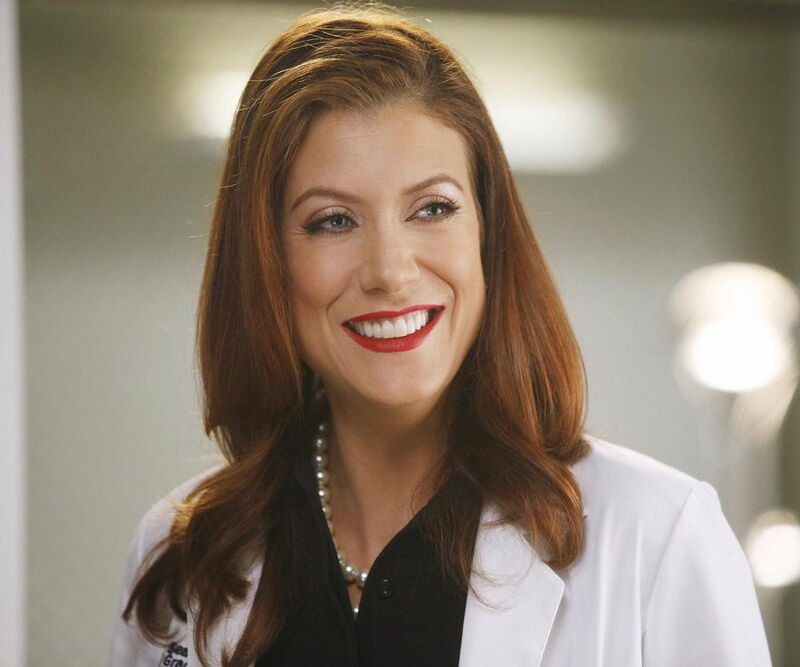 She reprised her role as Dr. Addison Montgomery in the medical drama series ‘Private Practice’ from 2007-2013. She was a guest monologist in the television comedy special ‘Upright Citizens Brigade: Asssscat’. She lent her voice to the character Kat Savage in the animated sitcom ‘King of the Hill’ for one episode. She was one of the roasters in the ‘Comedy Central Roast of Charlie Sheen’. She played the character Gina Hess for four episodes in the black comedy crime-drama anthology series ‘Fargo’. She played the lead role of Judge Rebecca Wright in the legal comedy drama television series ‘Bad Judge’. She was part of the cast for the sitcom series ‘Undateable’. She is playing the character of Olivia Baker in the teen mystery drama web series ‘13 Reasons why,’ which is being streamed on Netflix. She played the character Cindy Anderson in the 1996 crime drama film ‘Normal Life’. She played the character Lena in the 1997 film ‘Peppermills’. In the 1997 film ‘Night of the Lawyer’, she appeared as Pressie Brooks. She played the character Cricket In the horror film ‘Henry: Portratit of a Serial Killer, Part II’. In the film ‘Three Below Zero’, she appeared as Moirat. In the film ‘Heaven’, she played the character Diner. She played the character Jeanie in the film ‘The Family Man’. She played the character Lorra in the film ‘Anatomy of a Breakup’. In the film ‘A Day in the Life of Nancy M. Pimental’, she played the character Kate. In the romantic comedy drama film ‘Under the Tuscan Sun’, she played the character Grace. In the 2004 action comedy film ‘After the Sunset’, she played the character Sheila. In the direct-to-DVD film ‘Wake Up, Ron Burgundy: The Lost Movie’, she played the character Sue. In the 2005 sports comedy film ‘Kicking & Screaming’, she played the character ‘Barbara Weston’. In the 2005 romantic comedy fantasy film ‘Bewitched’ she played a small role of a waitress. She played the character Tyne in the film ‘Inside Out’. In the 2007 fantasy film ‘Veritas, Prince of Truth’, she played the character of Nemesii. In the film ‘One Way to Valhalla’, she played the character Raina. In the 2010 apocalyptic supernatural action horror film ‘Legion’, she played the character Sandra Anderson. In the 2011 independent drama film ‘Angela Crest’ she played the character Roxanne. In the 2012 coming-of-age drama film ‘The perks of being a wallflower’, she played the character Mrs. Kelmeckis. In ‘Scary Movie 5’ she played the character Mal Colb. In the 2014 film adaptation of the novel ‘Dermaphoria’, she played the character Morell. In the black comedy drama film ‘Before I Go’, directed by Courteney Cox, she played the character Kathleen Morgan. She played the lead character’s mother in the film ‘Staten Islanc Summer’. She played the character Bethley in the film ‘Any Day’. In the 2017 comedy film ‘Girls Trip’, she played the character Elizabeth. She played the character Pat Miller in the 2017 biographical spy thriller film ‘Mark Felt: The Man who brought down the White House’. In her initial days, Kate Walsh was a member of the New York based improvisational comedy group, ‘Burn Manhattan’. She was also a member of the theatre ensemble ‘New York City Players’. She also had a long career in theatre in Chicago city where she was part of the cast in major plays like ‘Happy Birthday Wanda June’, ‘The Danube’, ‘Moon Under Miami’, and ‘Trollus & Cressida’. She made her off-broadway debut in May 2010 in Atlantic Theatre Company’s world premiere of Stephen Belber’s ‘Dusk Rings a Bell’. In 2010, she founded a beauty and lifestyle company called ‘Boyfriend LLC’. The first product of the company was a perfume called ‘Boyfriend’, launched in November 2010. She partnered with leading multichannel retailer, HSN, to launch the perfume with live appearances by her on HSN. 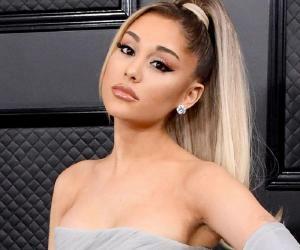 She released eight webimercials written and directed by her leading up to the launch of the perfume via various social media platforms including Twitter, YouTube and select blogs, prior to her appearance on HSN to promote the product. She is best known for portraying the medical doctor character Dr Addison Montgomery in the TV series ‘Grey’s Anatomy’ and its spinoff series ‘Private Practice’. She won the Satellite Awards for ‘Best Ensemble Cast: Television’ (shared with entire cast) in 2006. She won the 2007 Screen Actors’ Guild Awards for ‘Outstanding Performance by an Ensemble in a Drama Series’. She was again nominated in the same category in the 2008 Screen Actors’ Guild Awards. She was nominated for the ‘Favorite TV Drama Actress’ award for her role as Dr Addison Montgomery in the TV series ‘Private Practice’, in the 2011 People’s Choice Awards. She won the ‘Best Ensemble Award’ (shared with the cast) in the San Diego Film Critics Society Awards of 2012 for the film ‘The perks of being a wallflower’. She married movie executive Alex Young on 1st September, 2007, in the Ojai Presbyterian Church in Ojai, north of Los Angeles. They filed for divorce separately in December 2008, which was finalized on February 5, 2010. Since 2007, she has been the spokesperson for the Narcolepsy Network and has been working to promote awareness about the disease through infomercials and DVDs. In 2008, she participated in a campaign video for US Presidential candidate Barack Obama, and also campaigned for him in four states viz. Arizona, Texas, Nevada, and Pennsylvania. In 2008, she was elected to serve on the board of the Screen Actors’ Guild for a three-year term. She is also involved with the Planned Parenthood Federation of America (PPFA). She supports pet adoption and frequently campaigns for the cause. She is also involved with the advocacy group ‘Oceana’ for sea turtle protection advocacy. In the 2016 US Presidential elections, she campaigned for candidate Hillary Clinton multiple times in the states of California, Arizona, and Virginia. Her full name is Kathleen Erin Walsh. 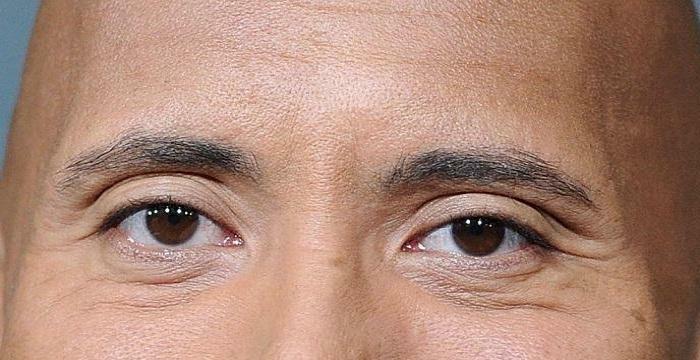 She once spent a night in jail for a fight in a bar. She took a break from her wedding ceremony because she was dehydrated. She was nicknamed ‘Godzilla’ by the crew on the sets of ‘Grey’s Anatomy’ because of her height.